When the largest Greek banks (in terms of assets) published their second quarter results a fortnight ago, much investor attention was focused on the formation and breakdown of non-performing exposure (NPE) on their respective balance sheets. This focus is the result of regulatory authorities and investors wanting to know if the four systemic banks have started to reverse the multi-year trend of continuously rising “red loans” in their portfolios. NPE stocks reached a total of 115.54 billion euros in Q2 of 2016 – roughly equivalent to a half of annual Greek GDP. This staggering volume represented a slight decrease from the March data when NPE reached 116.2 billion euros. In particular, NBG and Piraeus Bank were able to make noticeable inroads in NPE reductions, for two successive quarters in the case of the latter lender. 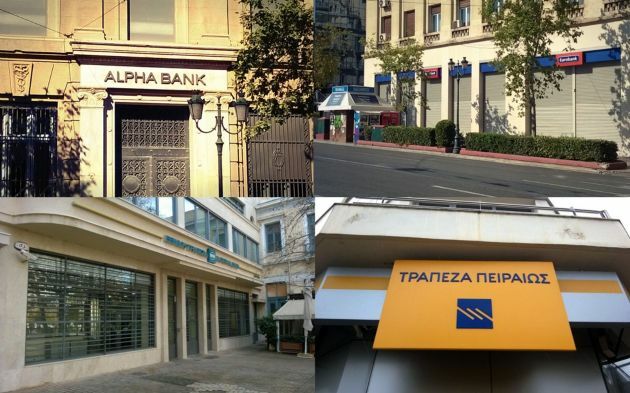 That this positive development still faces numerous obstacles before it can be called a trend reversal was illustrated by the fact that NPEs at Alpha Bank and Eurobank rose in the second quarter. The attention given to the NPE asset class is linked to recent regulatory obligations and legal changes that will affect the entire architecture of bad loan resolution in the eurozone in the coming years. These innovations are mandated by the ECB, as the supervisory authority, and the domestic central banks. They chiefly concern standardised supervisory practices for banks on how to classify, value the collateral of, and resolve rising NPEs. The actions of both regulatory institutions underline that they are finally engaging head on with NPE portfolios and non-performing loan (NPL) formation. Greece is not alone in having to urgently confront a looming policy crisis in the making since 2008 with the advent of the global financial meltdown in capital markets. Italy and Cyprus are the two other eurozone countries where domestic lenders are most acutely burdened by high levels of bad loans on their balance sheets. A unified regulatory approach in the way national authorities address NPLs does not yet exist in the eurozone. NPLs are a highly differentiated asset class. The emphasis of many international investors looking at NPL management is on the recovery potential of the liability side on banks’ balance sheets. In the Greek case, the single largest liability are corporate NPEs, first and foremost loans to SMEs, sole proprietors and very small businesses. Together they accounted for more than 40 billion euros of the total NPE stock in Q2 2016. This high level of NPEs in small and medium-sized businesses in Greece is a self-reinforcing trend. SMEs are the lifeblood of the Greek real economy. Because of their incapacity to service repayment obligations, lending to such firms has all but collapsed. But this deterioration has also fed into the reluctance of domestic banks to lend to the sector. However, this process is all the more devastating as Greek SMEs are bank-constrained borrowers. Their current chances of securing a new loan from financial intermediaries outside the banking sector is close to zero. Despite the new regulatory and legal environment envisaged for medium-term NPL resolution, the single largest obstacle that international investors keep referring to concerns the size of any emerging market. Many potential buyers of and traders in NPLs have articulated the need for a critical mass of this market in Greece. Otherwise, despite innovative rules or new players entering the field, any anticipated lift-off will hardly materialise. The Hellenic Financial Stability Fund (HFSF) has identified numerous legal, judicial and tax-related constraints hindering the development of a dynamic NPL market in Greece. What can be done to alleviate these constraints? How and who could create such a market in Greece? One remedy that is not being considered as an option in NPL resolution concerns the possibility that the Bank of Greece (BoG) could buy securitised NPLs from the SME sector. Securitised SME paper is hardly available today. But that state of affairs needs not remain so. Creating such an equity class by domestic lenders, establishing the regulatory framework for the trading of this asset class and then starting the sales process to the central bank is not an insurmountable task for the authorities in Athens. A number of measures exist to resolve these problems. Italy offers a roadmap how the securitisation of SME bad loans could be structured and made legally waterproof. In order to unlock debt clean-up Italian-style, the lender Banca Populare di Bari issued the first government-guaranteed bad loan securitisation sale in August. The securitisation is structured to include a safe senior bond (for example, large corporate loans), a mid-ranking mezzanine bond and, at the junior level, equity. In order to solve the challenge of who would buy the equity and/or mezzanine bonds, a public-private partnership in Italy established an industry rescue fund called Atlante. With the existence of Atlante, Italian banks have an institutional sales option for securitised bad loans. In the absence of such an alternative in Greece, the challenge remains to identify who could be a driving force in bad loan deals. Kick-starting such a NPL market is proving a hazardous undertaking, in particular as long as bridging the gap between what private sector investors are prepared to pay for “red loans” and at what levels banks are willing to sell remains so large. To be sure there are constraints on the amount of eligible securities in the Greek NPE case. That requires seeking changes in the technical workings of such a BoG purchasing programme. Based on current criteria, the BoG would not be able to identify enough eligible securities. But political constraints also need to be overcome, notably ECB and troika reticence towards a policy measure that even faintly resembles the monetary financing of domestic lenders by a member state’s central bank or appearing to delay the bankruptcy procedures of insolvent SME debtors. Considering the actions of the Greek central bank as a beneficial intervention does not imply that the bank’s governor is distorting an emerging NPL market. That market hardly exists in Greece in the first place. But as a viable way forward and out of current impasses, innovative policymaking is all the more necessary in Greece. Unless out-of-the-box thinking takes hold in the financial engineering of NPL resolution, Greek SMEs will neither leave the burden of red loans behind them nor return as viable customers to bank branches seeking business loans. The Greek finance ministry, HFSF and BoG should sit down together and identify a roadmap towards developing a dynamic NPL market. The latter institution would be a first-time buyer and subsequent sales agent of securitised NPL bonds to interested private investors. This article first appeared in last week's e-newsletter, which is available to subscribers. More information on subscriptions is available here.